Arise, Shine......Isaiah 60:1: Sound Booth Troubles! 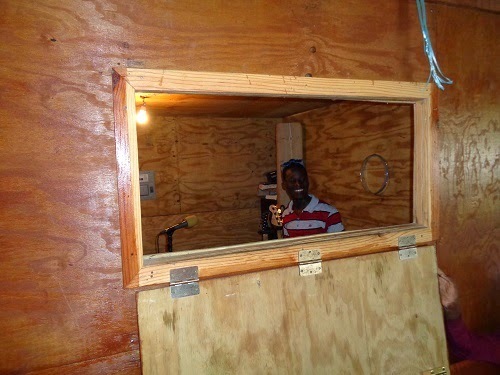 The sound booth in the church at Haiti ARISE seems to have the most unusual situations in it! Last year, we had our bees decide to move into it twice and now we have a situation with chickens. A hen laid eggs on top of the booth (the top is not solid). The chicks hatched and fell through the cracks in between the walls and are trapped there. Then, chicken lice started to fall from the rafters onto the heads of the people in the booth and on the equipment! They were quite 'grossed out'. Fortunately, these are not like human lice that will infect people. After lots of spray (similar to Raid), they were under control.